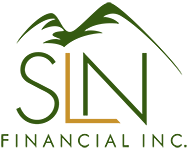 April 19, 2017 - Know the Difference Between Qualified and Nonqualified Annuities | SLN Financial, Inc.
For many investors looking to secure their cash flow in retirement, annuities are a common way to receive the guaranteed income they need in the future.1 Different annuities exist, so knowing which option fits your financial life and goals is important. Here are some points on the key differences between qualified and nonqualified annuities. What is a nonqualified annuity? Is each annuity taxed differently? Qualified annuities have maximum contribution limits and limited flexibility.10 Be sure to consult your financial professional for deeper insights into their abilities and limitations. Nonqualified annuities have no IRS-set contribution limits, earned income requirements, or rules on minimum withdrawal.13 Be sure to consult your financial professional for deeper insights into their abilities and limitations. Your financial needs and goals will drive which annuity strategies and structures you choose to create the cash-flow you desire. To explore your retirement income goals, please contact us. We’re happy to help you make the most of your financial opportunities.